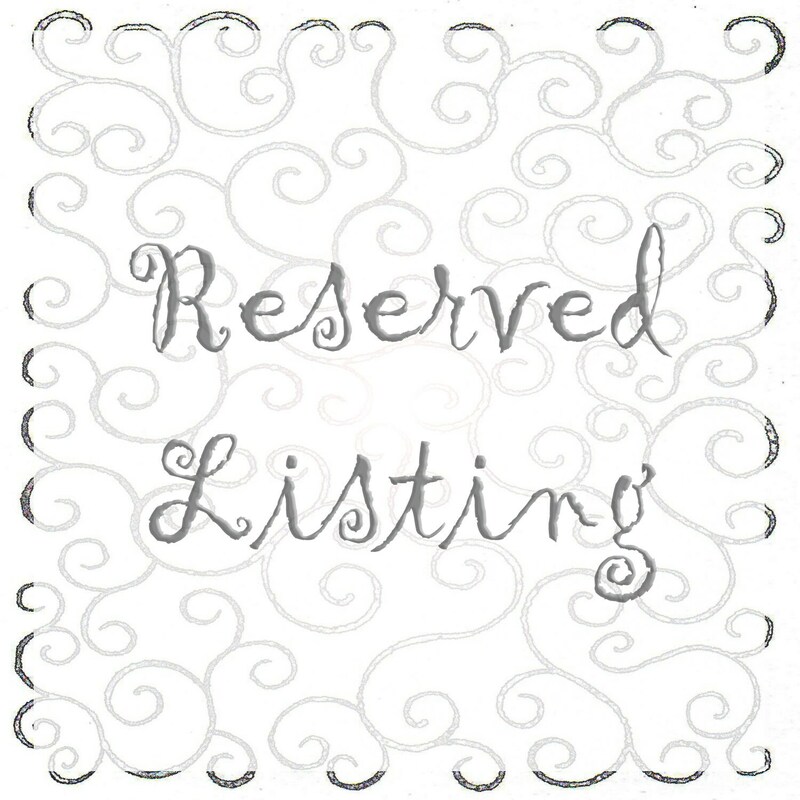 This listing is Reserved for Shantillie, please do not purchase unless you are her. 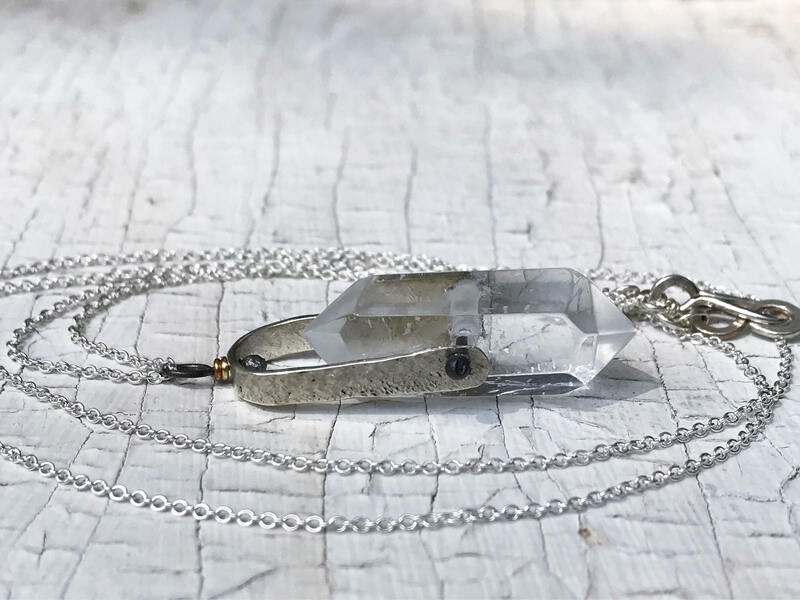 Double terminated crystal point spinner necklace, solid sterling silver, with alternate crystal choice. Sterling silver 1.4mm seamless snake chain with sterling silver lobster claw clasp. 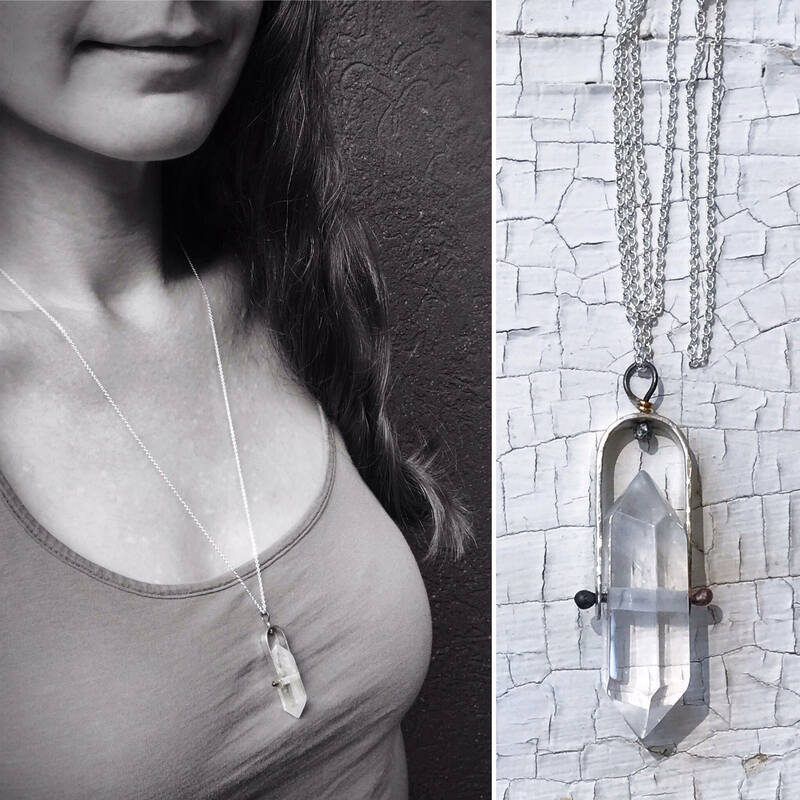 Crystals range in size from 25-45mm (1" to 1 3/4") length, and 9-15mm (3/8" to 5/8") width. *Please note* The grey moonstone has a lovely muted sheen to it, but does not have the flash of color that rainbow moonstone has. Thank you Shantillie! If you have any questions for me, please don't hesitate to ask! I constantly play with my jewelry, so I made it my personal mission to create a necklace that was designed specifically to fidget with. 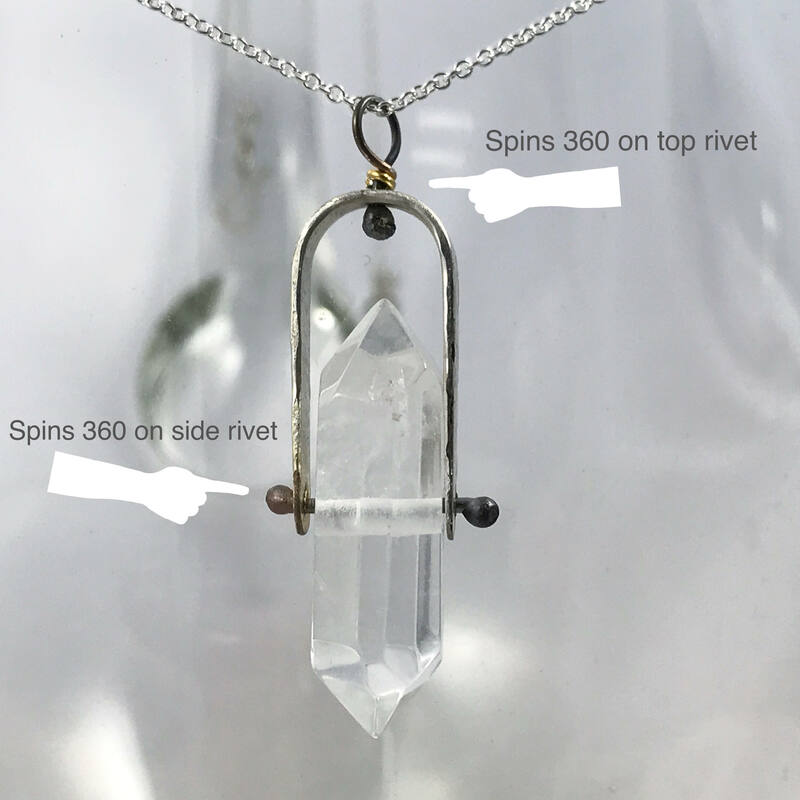 This awesome necklace features a double terminated polished quartz crystal point which spins two ways (That's right, two spinner features! You're welcome.) within it's solid sterling silver harness. It rotates 360 degrees on the top rivet loop that attaches it to it's chain and it spins 360 degrees at it's center rivet which holds it in it's harness. As a jewelry artist, I try to wear a variety of designs when out and about, but I made one of these for me and alas, this is the only necklace I want to wear anymore. 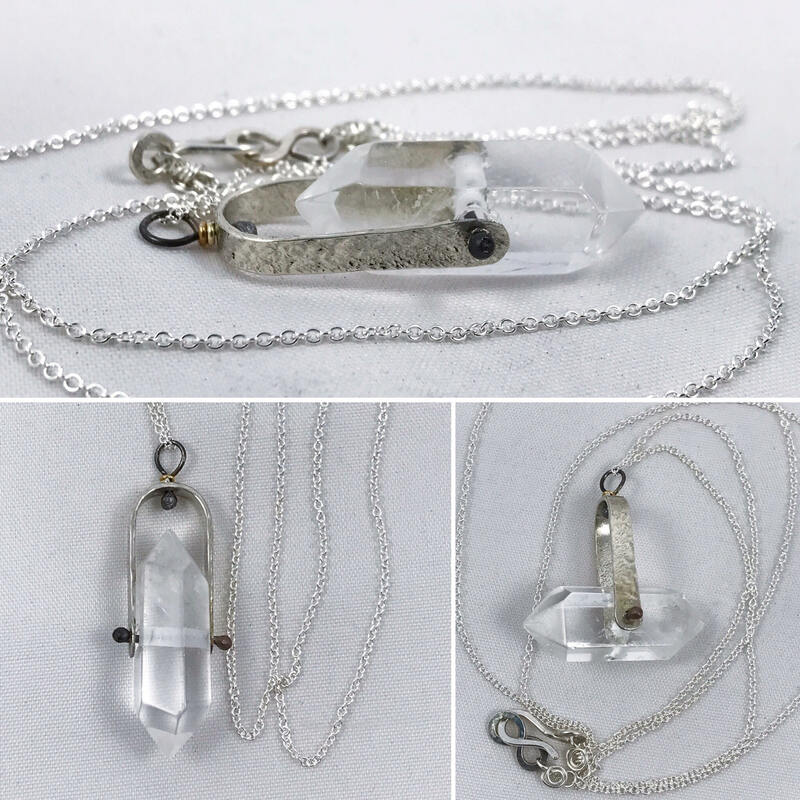 This necklace is made to order and each one is unique, the one in the photos is sold and yours will be created just for you with your choice of chain length. 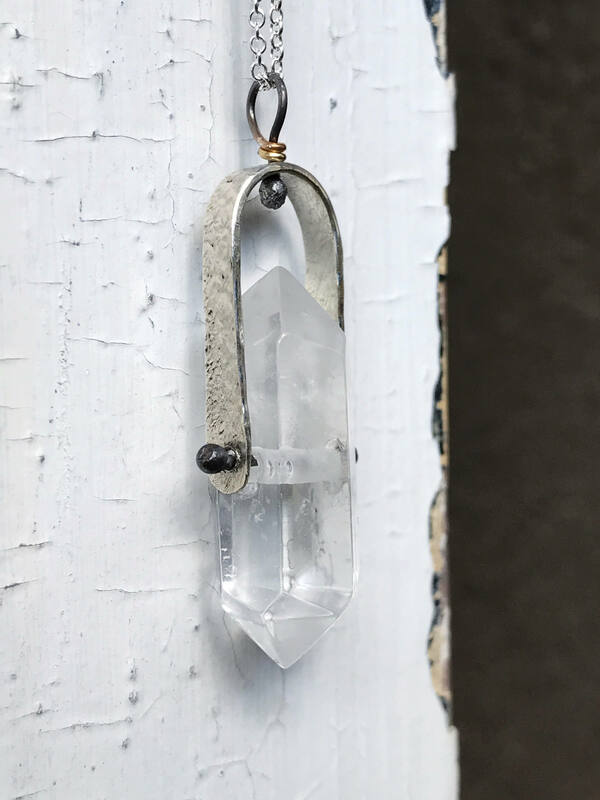 *Please note* These are natural polished quartz crystals so please allow for variance in the size of the crystal, as well as the unique inclusions and faceting of each one. 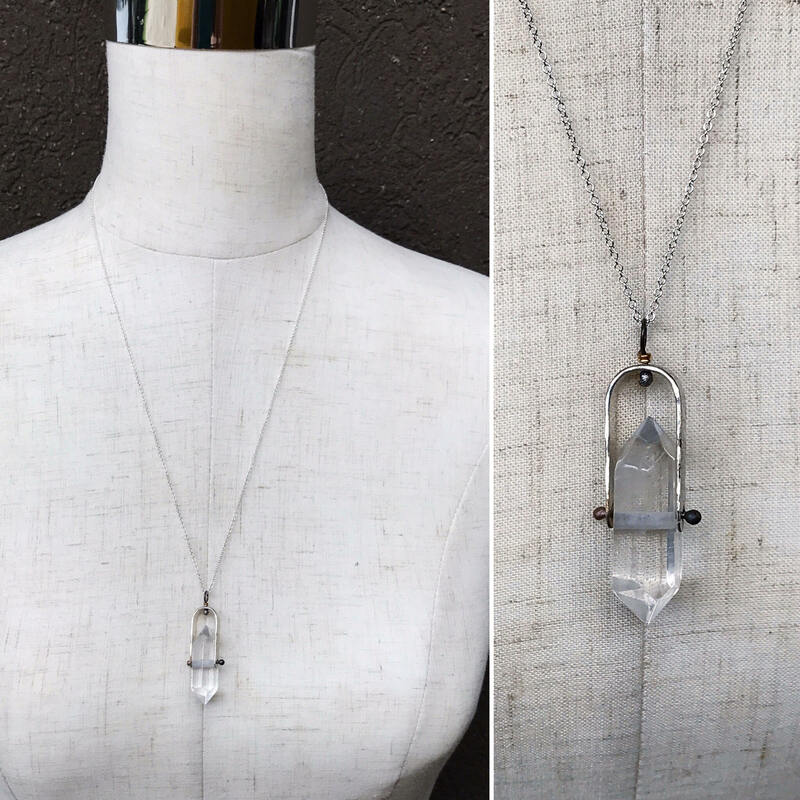 -Genuine double terminated polished quartz crystal, available crystals varying in size from 25-45mm (1" to 1 3/4") length, and 10-12mm (about 3/8") width. 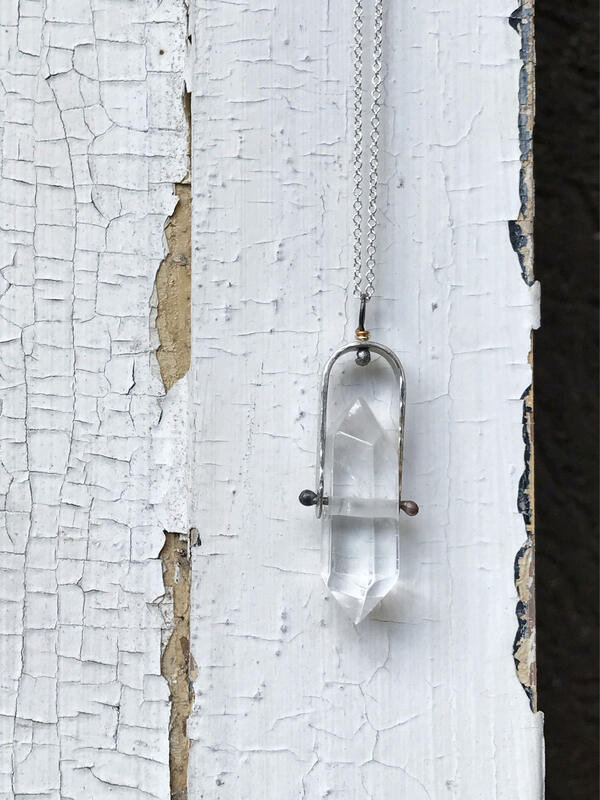 -All crystals are double terminated clear quartz with some inclusions as shown. 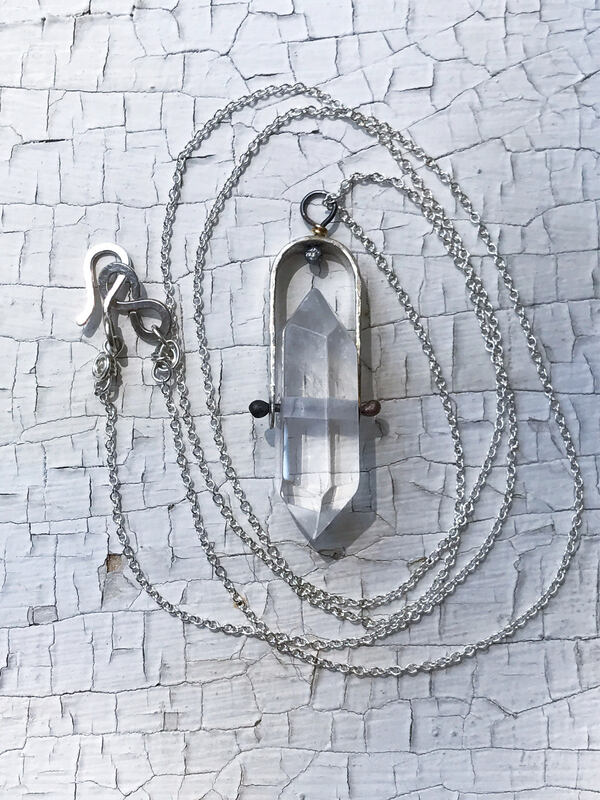 -Total pendant length with sterling harness will vary depending on the size of the crystal, but will average 1 3/4" to 2" length including top loop. -All of the metal is solid sterling silver, featuring torch fired ball rivets which are left darkened to add contrast and visual interest. -Two spinner features - One at the top rivet loop and one at the center rivet bar. -Chain is a solid sterling silver 1.1mm width cable chain with hammered hook and loop clasp. It looks delicate but is very strong.